Thanks to everyone for the overwhelming response to the first block of Bed of Roses!! I quickly sold out of patterns and BOM kits, but don’t worry, I quickly placed another order for patterns and they are on the way. So, here are a few details about the Bed of Roses BOM. If you ordered Block 1 (pattern and fabric) I assume you are going to want all 12 blocks. I have put aside a complete set of patterns (and fabric) with your name on it. The fabric that you will receive in your kit is the exact same fabric as in mine! At the beginning of each month, I will write a blog post outlining how I prepped and stitched each block. That block will then be added to the website and you can order it at that time. 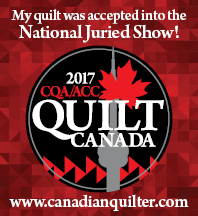 Note: If for some reason (like maybe you are on vacation and quilting is the last thing on your mind!) you don’t order it at that time, that’s ok!! I will ship your block to you whenever you order it. Bed of Roses is broken down into 12 patterns, so I will do one a month. However, you can start whenever you want. If you want to wait for a couple of months to see more of the finished blocks, you can order at that time. Really, I just want to keep it simple!! Speaking of “keeping it simple”, I just finished the second part of Block 1. The first pattern consists of one block (which I showed in my last post) and 2 corner triangles. If you check closely you can see that I modified the flower centers a little. Feel free to do the same, or you can do the centers the way they are in the pattern. Again….just trying to keep it simple! So, I stitched both corner triangles at the same time on a background square (rather than cutting 2 triangles and stretching the bias edges), a tip provided by Sue in the directions. You can see the diagonal centre crease. Then I added the yellow centers and the green thingies. Hi Kerry …does the frame for the blocks for Every Season come with the pattern?